Your skin will be lightly buffed head-to-toe using body scrub, with invigorating oils of wild mint and mandarin. By applying techniques of shiatsu, cranio, Thai massage and trigger point touch, we work to decrease stress levels and release endorphins. Your spirits, relax you and leave you feeling like the best version of you. Throughout, we drizzle the warmed Neom Intensive Skin Treatment Candle oil over the skin, and provide specialist massage to key stress relieving points of head, face, neck and back. We harness the very best techniques of shiatsu, cranio, Thai massage and trigger point work. Your skin will be exfoliated from head-to-toe, left feeling amazingly uplifted and ready to be fully enveloped in the energising cream clay wrap. The stimulating essential oils of grapefruit, lemon and rosemary penetrate the skin and allow for detoxification, whilst you experience a 20 minute face and scalp pressure point massage plus specialist reflexology techniques. Your senses will be awakened and your body and mind will be given a boost of natural energy. 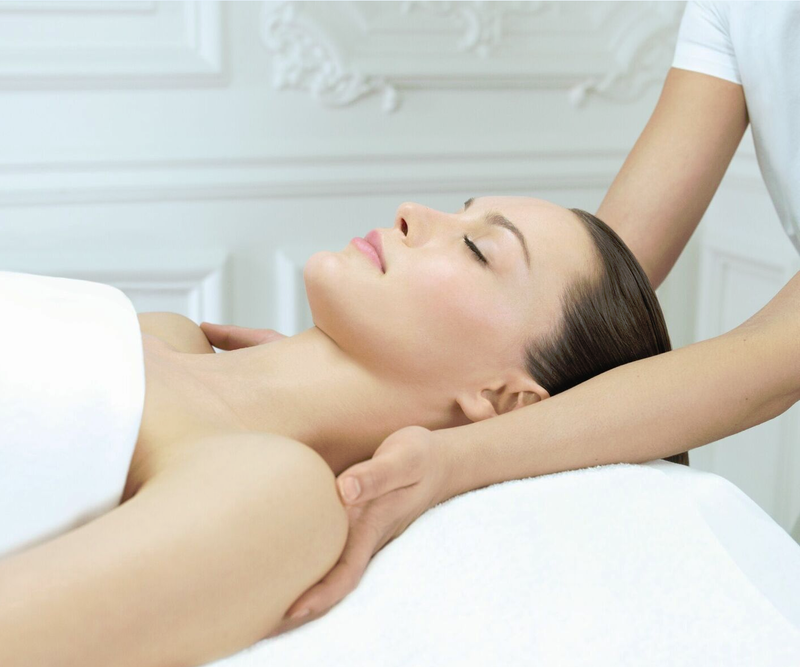 Throughout, we drizzle the warmed Neom Intensive Skin Treatment Candle oil over the skin, including key stress relieving points on the head, face, neck and back, using the very best techniques of shiatsu, cranio, Thai massage and trigger point work. Prepare to be lost in a blissful state, ready for a deep night’s sleep. Relaxing and calming therapy working on the chimney principle, drawing any impurities from the ear canal leaving a soothing, light sensation. Helpful for sinusitis, headaches and earaches. Cleansing facial for the back.